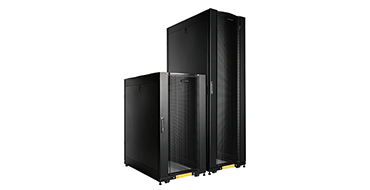 CyberPower Carbon™ server rack products include enclosures to keep equipment secure in open spaces, open frame racks for secure server rooms, wall mount rack enclosures to save floor space, and server rack equipment and hardware for environmental management. Support and protect IT equipment with accessories for thermal management, power distribution, security, and cable management. 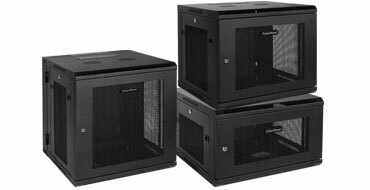 CyberPower Carbon™ Rack Enclosures support and protect IT equipment. With options for cooling, power distribution, security, shelving, and cable management, each Carbon Rack Enclosure provides a solid foundation for applications from high density computing to networking. 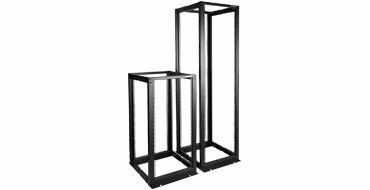 CyberPower Carbon™ Open Frame Racks offer simple installation and easy access for IT rack equipment. Open frame racks provide unobstructed airflow and feature keyholes in all posts to vertically install PDUs or cable managers with toolless button mounting hardware. CyberPower Carbon™ Wall Mount Enclosures allow IT equipment to be installed without using floor space. 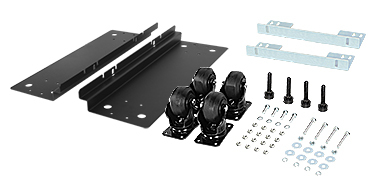 They have swing out rear access or direct wall mounting designs, top and bottom cable access openings, lockable doors, and side panels to secure installed equipment.